Greetings! Here you will be able to find all Wordie Levels 221-230 Answers. This is one of the most popular trivia games out there developed by ICO Group. The saga continues in this fun-packed game as you have to guess the correct words on each of the levels. 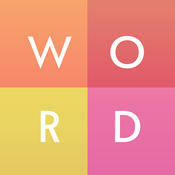 Since you are already here then chances are that you are stuck at Wordie Levels 221-230 Answers. Do not worry because our staff has just finished solving all the answers and solutions for Wordie, or as it was known earlier as Apensar!